In my non-farm payrolls preview yesterday, I talked about how the initial reaction in the EUR/USD post payrolls is fade-able. 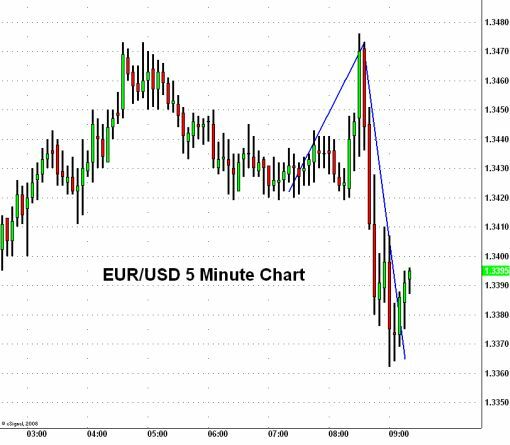 In each of the last 3 times that payrolls was released, the EUR/USD’s knee jerk reaction was quickly erased as a new trend emerged for the trading day. This is the chart that I showed on how the EUR/USD traded after the non-farm payrolls release on January, February and March. This is how the EUR/USD has traded so far since the non-farm payrolls release -- see the resemblance?